A new camera is coming! I am so, so excited! 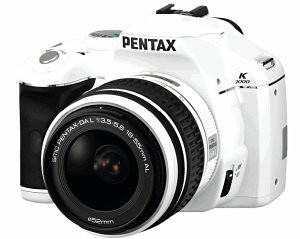 My new Pentax K2000 digital SLR camera is shipping out today! Welcome to a whole new world of beautiful cake photography. I may go a little nuts when it arrives next week. 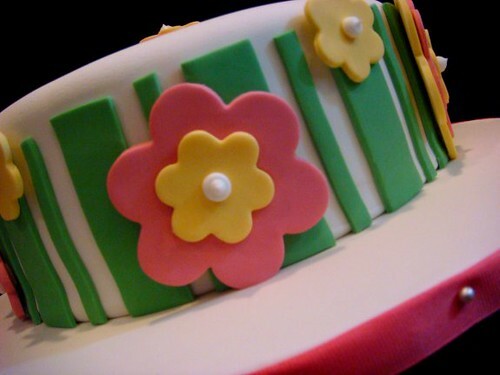 I so, so wish it were getting here today so that I could photograph my cake project for this weekend. 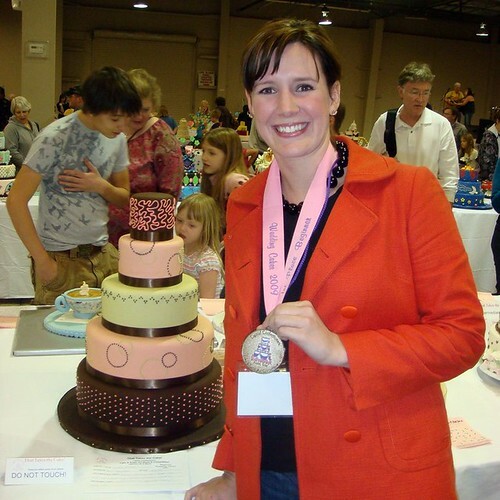 With the new camera comes a new phase of the Wicked Cakes blog… I’m going to start adding tutorials, how-to’s, and more detailed descriptions and photos of my baking adventures. Coming soon! This little baby shower cake was inspired by the beautiful watermelon-colored invitations for the shower… It’s sour cream white cake with tangy lemon curd meringue buttercream filling and vanilla fondant icing. All the little decorations are done in tinted vanilla fondant and royal icing. This cake was a lot of fun! It was for a fabulous birthday party here in Austin for a gal who loves the beach. The cake itself is chocolate, with a dark chocolate swiss meringue buttercream filling. The icing is tinted vanilla fondant with lots of little gumpaste/fondant figures to round out the beach scene… Happy Birthday! 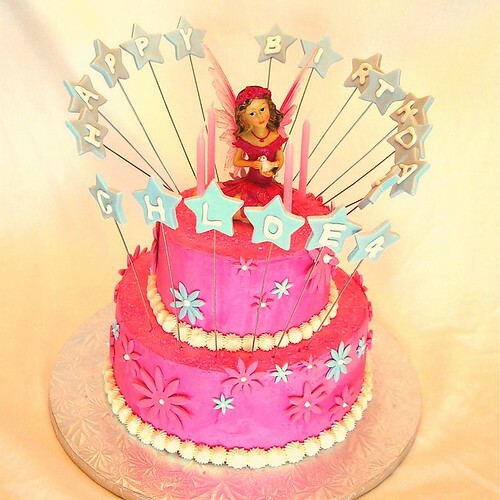 This cake was for a little girl named Chloe who turned 4 this weekend and had a beautiful fairy princess party… She wanted pink, sparkles, fairy wands, and flowers, and that is what she got! This is a chocolate cake with pink vanilla buttercream, decorated in pink buttercream and tinted gum paste flowers and stars. 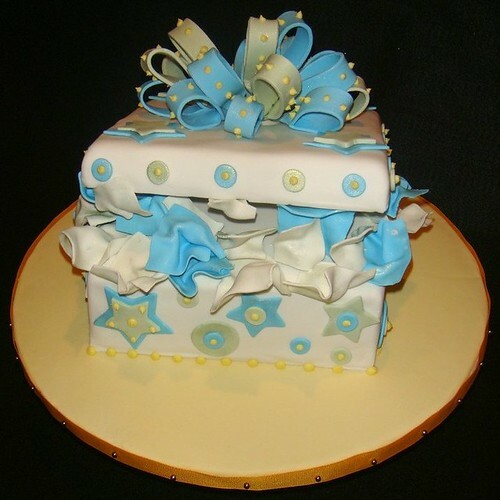 I’m so excited about this latest cake… One of the executives at my company and his wife recently adopted a beautiful baby boy, and we’re doing a shower in the family’s honor tomorrow. This cake is a “gift box cake” as made famous by Confetti Cakes in NYC… Such a fun cake to make, and it really makes a statement (or so I think!). The cake itself is sour cream white cake, and the filling/frosting is lemon curd buttercream. I’m also providing vanilla/vanilla cupcakes to go along with the cake. 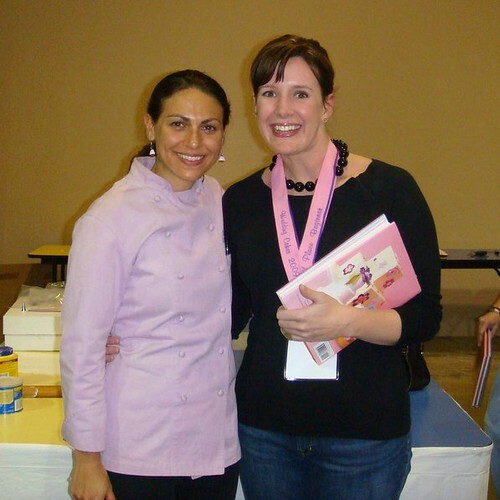 I met Elisa Strauss of NYC’s Confetti Cakes! 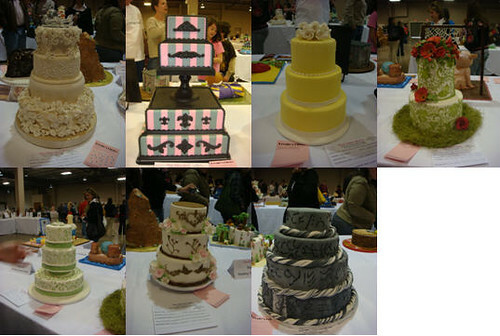 As part of the “That Takes the Cake 2009″ competition/show, I had the opportunity to attend a short course taught by Elisa Strauss, owner of Confetti Cakes in NYC (bakery to the stars). Elisa walked through some very helpful tips/tricks in developing a “present cake”… her instruction was hugely helpful and I can’t wait to incorporate them into my work. Thanks, Elisa! Hi there! This is the latest cake I’ve done for a little one… a first birthday. My friend Rebecca asked me to do a cake for her friend’s little one with a pink/black soccer ball and a little pink elephant. See the result below! 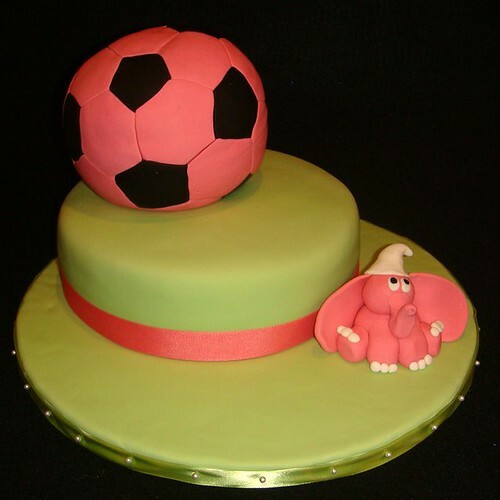 The soccer ball is actually all cake covered with fondant, and totally edible. 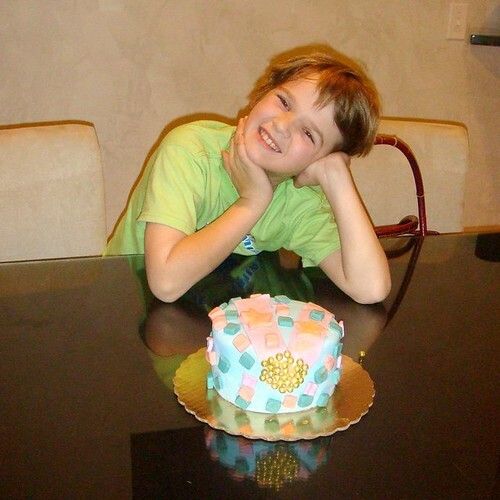 The bottom is chocolate cake with cream cheese frosting, covered in green vanilla fondant. I also covered the cake board in green fondant and used some pink accent ribbon to tie it all together. The final touch is the pink fondant elephant representing the little one’s favorite toy.